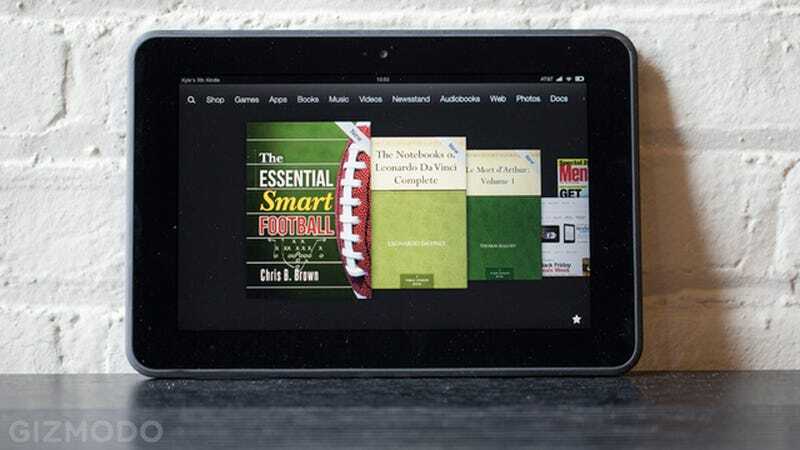 In case you haven't noticed yet, Amazon's been hitting its Kindle Fire HD 7-inch with sale after sale, and right now, you can pick one up for the lowest price ever in its relatively short history—a cool $160 compared to the usual $200. The sale's being offered for a limited time only, so if you've been making plans to get one for yourself, now's the time. Especially since all these sales would seem to hint at a good ol' fashioned inventory exodus. Amazon's inevitably going to unveil a new line of Kindles in a few months, so it's going to need to clear out the last of the Kindle Fire HDs one way or another.